In 15 days, the government will come up with a plan to increase the number of charging stations for electric cars across the country. New Delhi: The Centre is all set to announce a major policy to increase the number of charging stations for electric vehicles across the country to help overcome a big hurdle in the path of adoption of cleaner auto technologies. The Ministry of Power and Renewable Energy is expected to be ready with the policy as early as in the next 15 days, Power minister R.K. Singh said Monday. The minister of state for power and renewable energy explained that discussions are going on about whether the charging stations will be treated as a service or would be licensed. The point is yet to be settled and the government will for now treat the charging stations as a service provided to consumers. Singh said that the cost of charging will approximately be Rs 3-3.5 per kilometre. “We need certain amendments in the Electricity Act to accommodate charging stations as service and define the electric vehicles as well,” said Singh. “It is necessary that a detailed plan is made for charging stations to boost the demand for electric vehicles,” he added. The government also plans to buy 500 electric sedans soon. 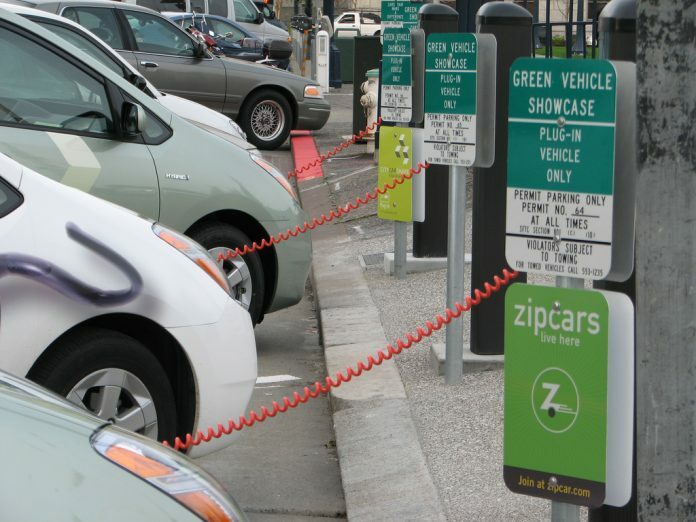 The discussions also include talks about the agency or agencies that could set up these charging stations. “Any DISCOMs, central PSUs or state PSUs can set up the charging stations or any state can give it to franchises too,” said Singh. “The legal aspect is that we are treating it as a service and thus amendments are required. There are guidelines for fixing the tariff for sale of electricity to charging stations, which needs to be finalised,” the minister said. The guidelines will also include giving open access, not giving any cross-subsidy, and not counting losses in the tariff. The cost of charging stations will be derived by calculating the average cost of purchase of power, plus wheeling charges, plus margin, the minister said. The minister said that possible corridors for setting up the stations have been identified and explored. People who travel in these corridors using electric cars would get access to the service. “The priority is to set it up first in metropolises then we will see the market picking up and people buying more electric cars,” Singh said, adding that some of these issues had also been discussed with the auto industry. The minister said promoting electric vehicles is a part of the NDA government’s larger plan. “The PM believes that the country will become self-reliant as India’s import of fossil fuels is too much. We will harvest wind and water to generate electricity as well,” he said.